Banaras Hindu University will soon update the Admit Card for Undergraduate Entrancee Test (UET). 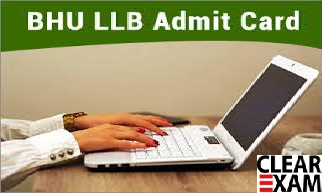 Candidates can download the BHU UET Admit Card from the link given below. The tentative dates of the 2018 BHU UET law exam have been declared. The entrance exam will be held around third week of May 2018. Candidates can start filling the online application forms from last week of January 2018 onwards and the last date for the filling of application forms is February 2018. Steps to download BHU UET Admit Card. When you register your account on the official website you would have provided your email id and your phone number. Remember that this email id and phone number which you provided will be used to notify you about the fact when admit cards become available. You should contact the controller of examination from Banaras Hindu University in case there are only three days left for the exam and you have not been able to download the BHU UET Admit Card due to something erroneous. The email id and phone number of the controller of examination are mentioned on the official website. You should also inform the controller of examination even in that case when certain information present on the admit card is not correct. The controller of examination will then make sure that such an error is corrected. The next step after downloading your BHU UET Admit Card is that you have to attest the passport size photograph. I recommend that you use the same photograph which you used on the application form.. You can take a print out by pressing ctrl and P or by pressing the print button on your device. The image should be 100 kb in size just like the image which you used on your application form. You can take multiple copies of the admit card just in case if you lose one copy. Once you have taken a print out then attach a photo and self attest it. Keep in mind that you will not be able to appear for the exam without an admit card. Second, no admit cards will be sent to candidates by post and one has to download and print out on his/her own. Commit to the memory the venue on your admit card because that is where you have to reach on the exam day at the stipulated time. Last of all, remember not to discard your admit card after the exam because you will need this document for all future correspondance and till the counseling day. Even on the day of counseling you will have to carry the admit card with you. The BHU UET Admit Card is a very important document and has to be compulsorily taken along with you on the exam date to the exam venue. Banaras Hindu University will soon update the Admit Card for Undergraduate Entrancee Test (UET). Candidates can download the BHU UET Admit Card.